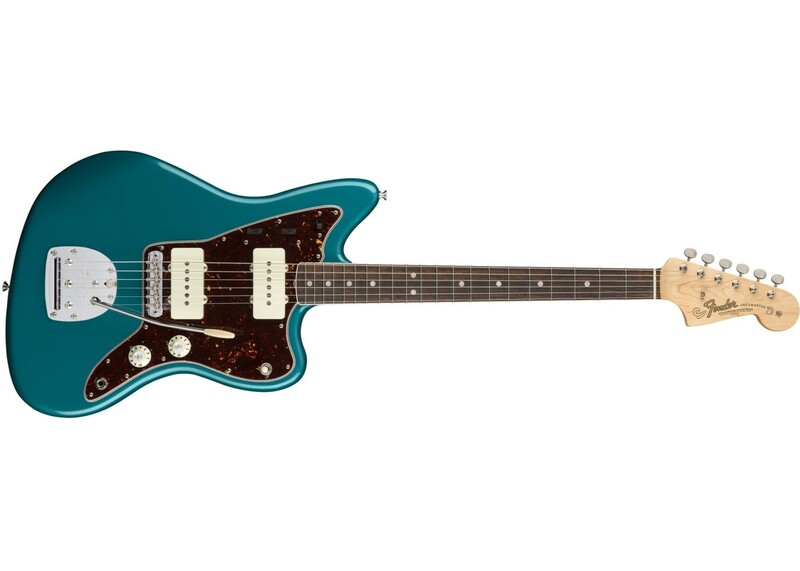 Originally designed to appeal to jazz guitarists with elegant appointments and sophisticated controls, the Jazzmaster found its way into the hands of musical rebels. 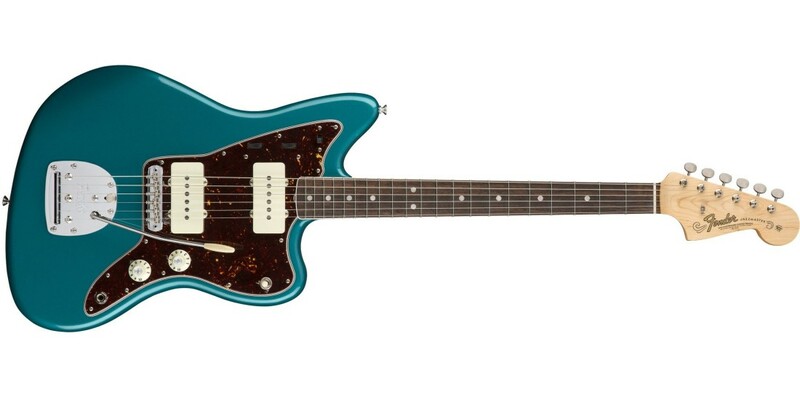 From surf to punk and indie rock, its flexible sound heralded the call of change and shaped the voice of rebellion. 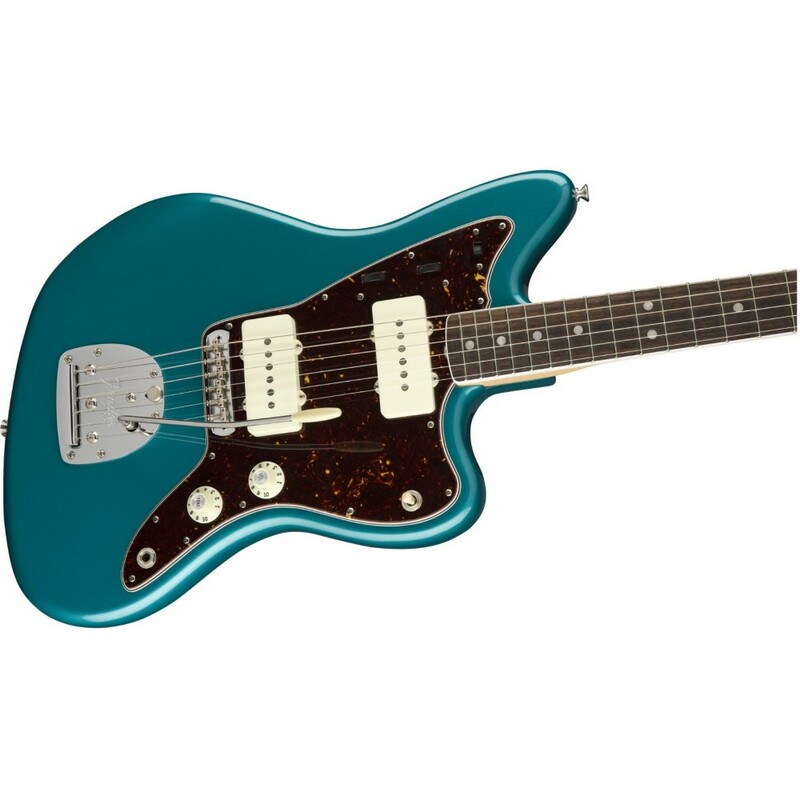 The American Original '60s Jazzmaster faithfully recreates the voice and style of this classic guitar, supplementing them with smooth, modern playability. 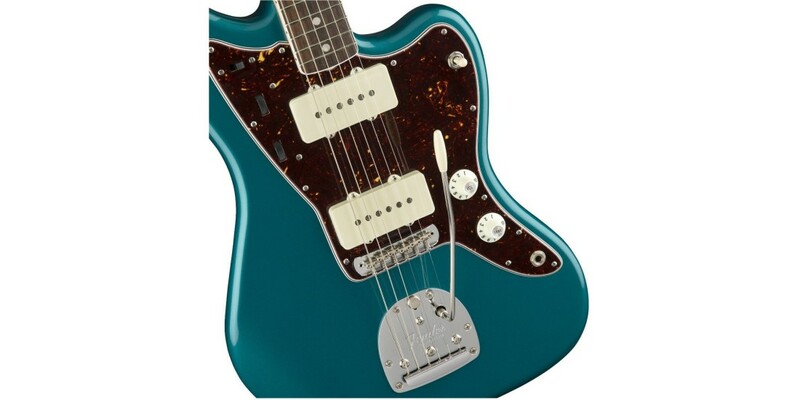 The wax-potted Pure Vintage '65 Jazzmaster single-coil pickups are as period-correct as possible, from the enamel-coated coil wire to the cloth-covered output wires, fiber bobbins and alnico 5 magnets. 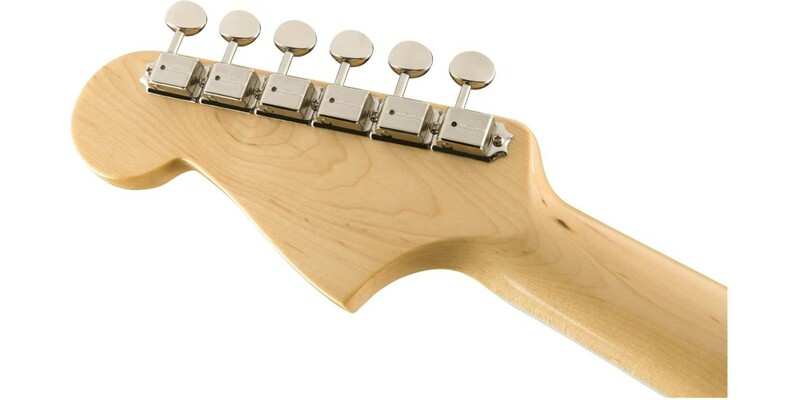 The pickups' pole pieces are flush-mounted just like the original. 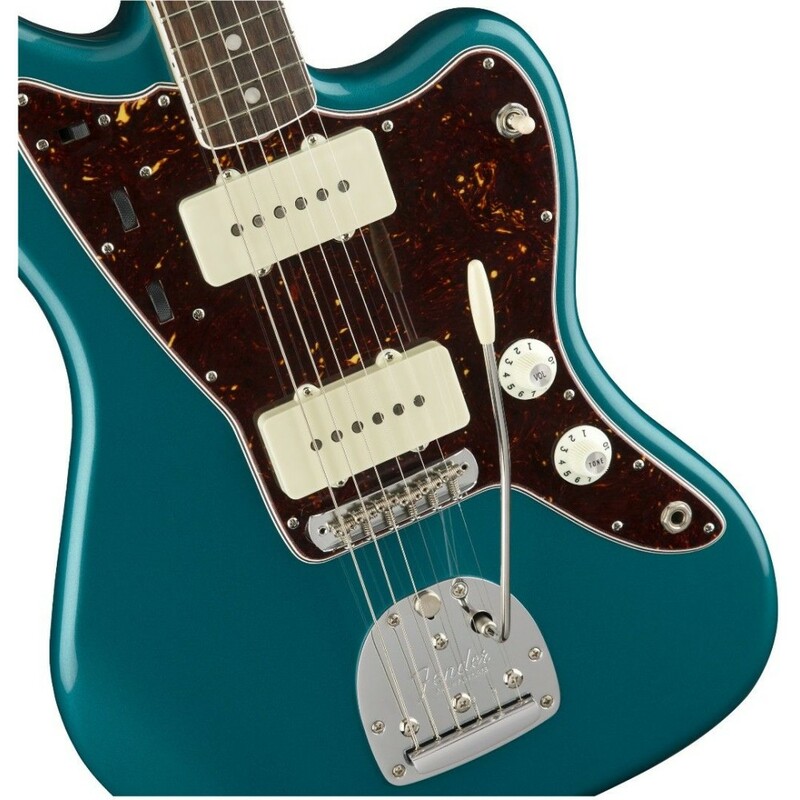 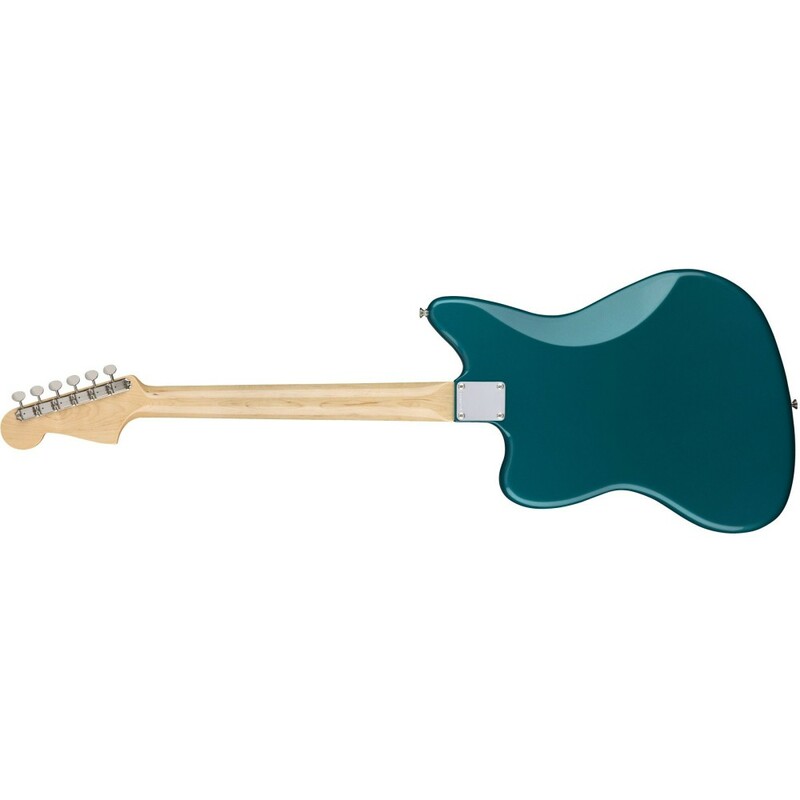 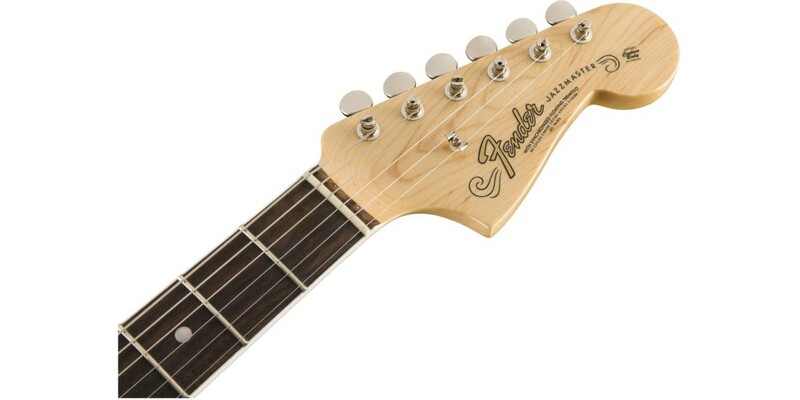 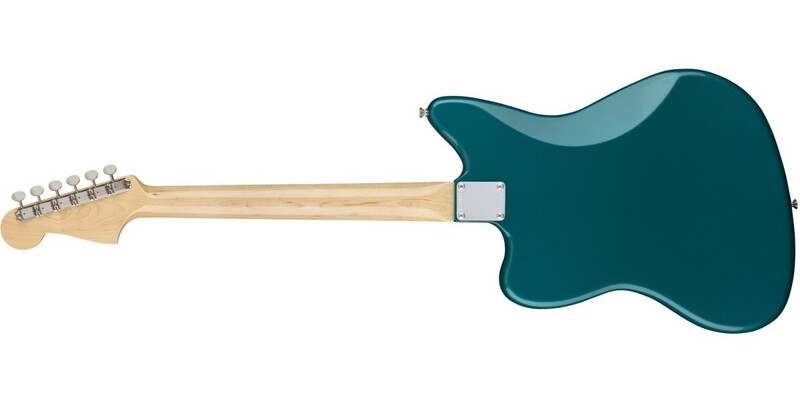 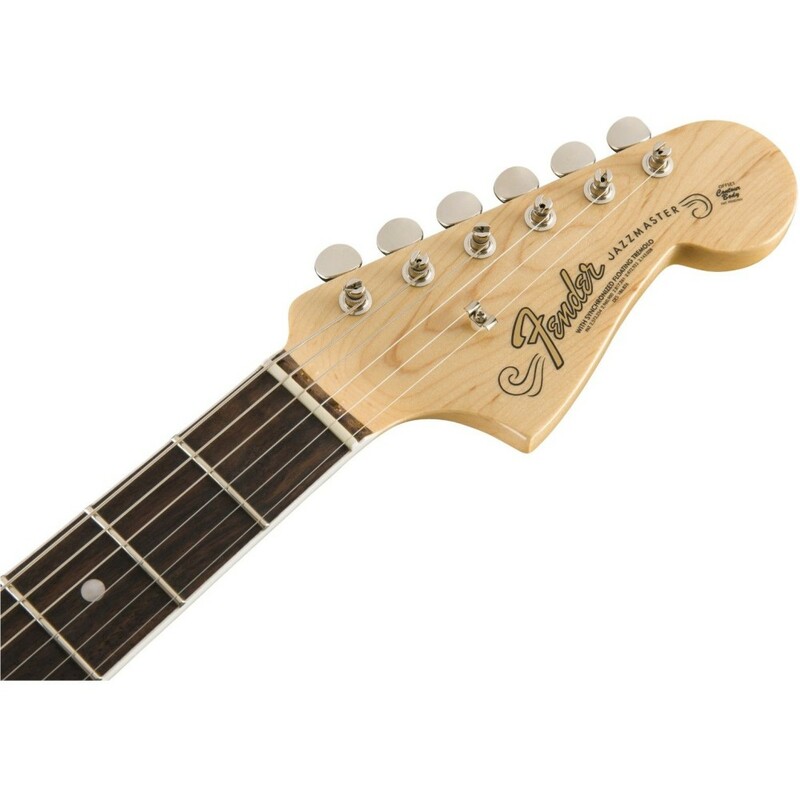 Other authentic touches include the distinctive Jazzmaster tone circuitry, vintage-tall frets, original-era body radii, vintage-style hardware-including floating tremolo with lock button and push-in arm-vintage-style hardshell case and a lacquer finish that not only lets the wood "breathe" naturally with resonant tone, it also wears in a distinctively appealing way. 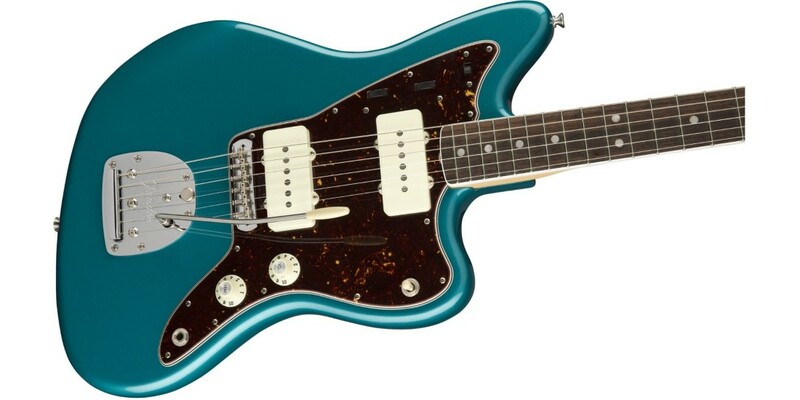 For Fender fans who want the authentic sound of the '60s, the American Original '60s Jazzmaster is the best way to experience the performance, style and sound from that era of innovation. 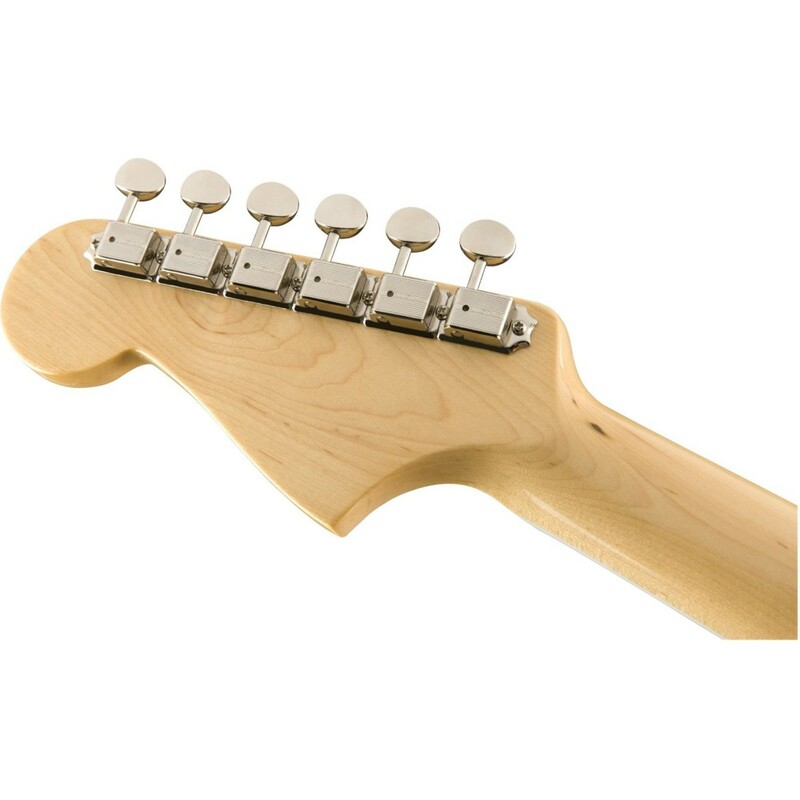 Neck Shape Mid '60s "C"
Control Knobs Aged White "Witch Hat"